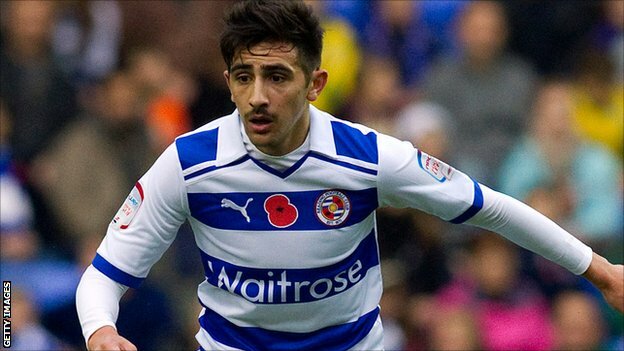 Reading midfielder Jem Karacan is being linked with a move to Turkish giants Galatasaray according to the clubs local paper the Reading Post. The tenacious central midfielder has been heavily linked with the club in previous years after featuring for Turkey at youth and senior International level. Karacan was born in England, although his father was born in Turkey, allowing him to represent them. Galatasaray representatives are to fly to England imminently to discuss a permanent deal for the player, with Reading announcing a partnership with the Turkish giants earlier this year adding fuel to the speculation Karacan could be the first to move between clubs as part of the new arrangement. The fee hasn’t been disclosed, although the academy graduate will likely command a fee of around £2 million, with his transfer helping offload a position in which the Royals are healthy with the likes of Danny Guthrie, Hope Akpan, Mikele Leigertwood and Daniel Carrico all vying for a first team birth in the Championship next season. Any further news on the midfielders transfer to Galatasaray will be covered over the coming weeks on the Football Family, with the player scheduled to return from holiday on Tuesday. TFF is your news, transfers and general gossip website. We provide you with the latest news, transfer and information straight from the the football news media global outlets and associated websites.